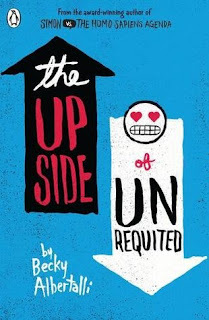 The Upside of Unrequited by Becky Albertalli (Penguin, read via NetGalley) – I know that authors often say second books are really difficult, and sometimes I feel the same way reading them. There are some authors whose debuts I’ve loved, but whose second books have left me disappointed. Then again, there are others like Morgan Matson, Non Pratt, and Becky Albertalli (obviously a VERY incomplete list!) who have followed up an astonishingly fabulous debut with an equally brilliant sophomore book. 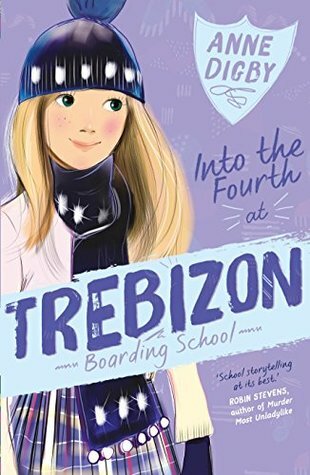 There’s a loose link to Simon Vs here (main character Molly is cousin to Abby in that book, and both Abby and Simon appear in this one briefly) but it’s completely readable as a standalone if you’ve missed Becky’s first book. (Obviously you should then go back and read that because it’s superb though!) Narrator Molly is such an adorable character, while I also loved her twin sister. The romances running through this one are perfectly done and it’s such a gorgeously fun read. Into The Fourth at Trebizon by Anne Digby, illustrated by Lucy Truman (Egmont, bought) – Reread of one of my favourite of the Trebizon series, with the new edition illustrated, like the rest of the series, by Lucy Truman with her gorgeous artwork. I’ve read this so many times but it’s a perfect comfort read, while Lucy’s pictures definitely add to the experience of reading it. Girls Can’t Hit by Tom Easton (Hot Key, read via NetGalley) – With the same brilliant sense of humour he showed in Boys Don’t Knit, Tom Easton brings us the story of a girl who somehow ends up taking up boxing despite the disapproval of her family and slight bewilderment of her friends. This is a consistently funny read with a great set of characters, and I raced through it. I also loved seeing a group of friends involved in historical re-enactments, a hobby I’ve rarely seen portrayed in YA - which led to some especially hilarious scenes! Allegedly by Tiffany D Jackson (Harper 360, bought) – This is such an intense thriller, with so many twists and turns, that I don’t want to say much for fear of spoilers. 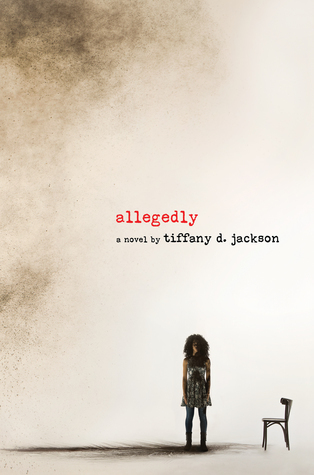 I WILL say, though, that you should absolutely read it ASAP – Tiffany Jackson gives us an incredible story and a truly memorable central character in the shape of Mary, a black girl convicted of killing a white baby when she was just 9 and now fighting to convince people that she didn’t commit the crime in order to keep her own unborn child. A brilliantly written story which will stay in my memory a LONG time; I’m excited for whatever Tiffany writes next. 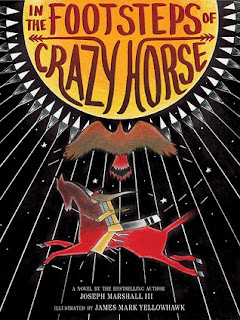 In the Footsteps of Crazy Horse by Joseph Marshall III (Harry N Abrams, bought) – Really interesting coming of age story following a fair-haired, blue-eyed young Lakota boy on a road trip with his grandfather following in the footsteps of the famed Crazy Horse – who was once another Lakota boy with similar features to Jimmy’s, and who grew up to become one of the bravest and most renowned of the Lakota nation. The grandfather’s tales of the exploits of the famous warrior are excellent and I enjoyed finding out more about him as well as getting an insight into the modern-day life of a Lakota boy. It’s also a completely gorgeous hardback; I love the cover and Jim Yellowhawk’s wonderful illustrations really work perfectly with Marshall’s story. 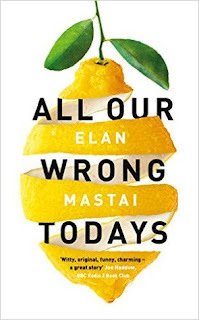 All Our Wrong Todays by Elon Mastai ( Read via NetGalley) – I don’t generally do time travel, but this sounded too intriguing to pass up and requesting it via NetGalley was SUCH a brilliant decision! Starting in the 2016 we were meant to have – a wonderful utopia with unlimited energy, this follows a slacker who is the son of the man who’s invented time-travel. Despite the perfection of this world, main character Tom is left alone by a series of heartbreaks, and after a time-travel accident ends up wiping out the world and catapulting him into ‘our’ 2016 – which may seem like a nightmare world in comparison, but which has people who love him in it. He’s left to try and decide whether to ‘fix’ the universe, or to hold on to the people he cares for. Stunning voice here, genuinely unexpected twists and turns in the plot, and really lovely characters. 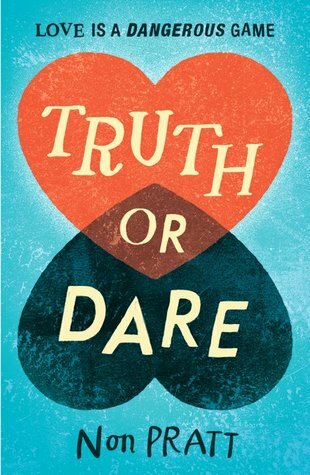 Truth or Dare by Non Pratt (Walker, received from publisher) – How can ANYONE be as consistently incredible as Non is? Four books, all of which are very different, all of which would be in my top 20 YA contemporaries of the last 5 years. This story of Claire and Sef, who team up to start a YouTube channel and raise money so that Sef’s brother can stay in his care home, is both moving and at times hilarious. I think Non captures modern teens better than perhaps anyone else in UKYA (and, obviously, with the amount of incredible authors writing UKYA at the moment there’s MASSIVE competition.) The dual narrative format – starting with Claire’s story, switching to Sef’s POV halfway through so we can see his version of events, and finishing off with both of them – works brilliantly. I also really appreciated the ace representation in the form of Claire’s friend Seren, who I thought was a fabulous character. Cream Buns and Crime by Robin Stevens (Corgi, bought) – I got slightly confused here, thinking the sixth in the popular Murder Most Unladylike series was ‘just’ the short stories that have been published online before plus a couple of new ones. That was already enough for me to buy it; I’ve loved all the shorts I’ve read and Nina Tara’s gorgeous covers ensure that this is a series that’s too stunning to NOT collect in full. However there’s so much more to it than the shorts (as brilliant as they are!) 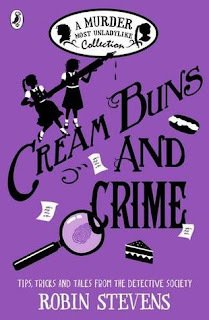 with Robin talking about her inspirations, and in-character pieces by Daisy and Hazel on codebreaking, famous detectives, and other gems. I think this is one of the best ‘companion’ type books I’ve read for a series – you can clearly feel Robin’s love for her characters in everything she writes. In addition, the shorts are superb and it’s fabulous to see George and Beanie both take centre stage as narrators for separate stories without Daisy and Hazel. 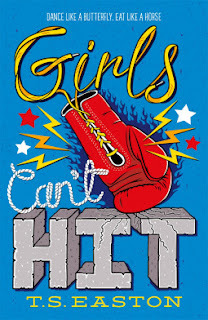 Book of the month: Wow, this is tough! Non and Becky’s books were both fabulous, while Tiffany blew me away with one of the strongest YA debuts I’ve read in a long time. However Elon Mastai’s All Our Wrong Todays takes this for me; it really is unlike anything I’ve read in ages and I LOVED it. I recently read Upside and it was such a cute and enjoyable read! I loved how relatable and simple it was yet at the same time so important!